Sarvatra set to touch Rs 40,000 crore gross transaction value in FY 2018-19. Contributing to the Digital India story, Sarvatra Technologies has played a very vital role in digitizing small co-operative banks across India. 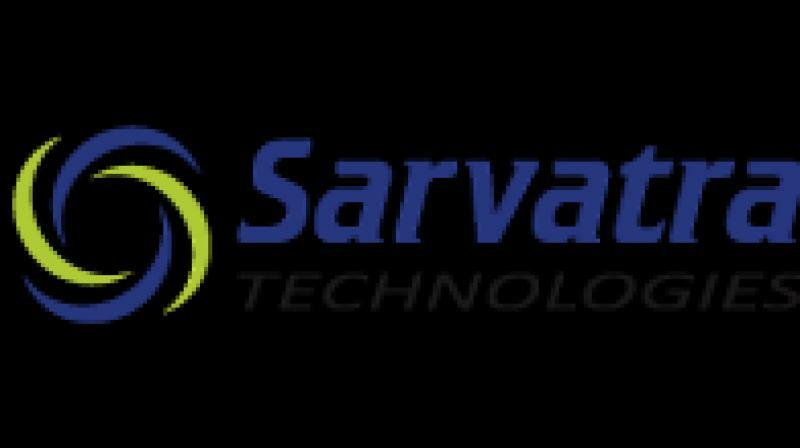 Mumbai: Sarvatra Technologies, India’s leading end-to-end payments and banking solutions provider, announced that they have successfully on-boarded ‘Sevalia Urban Co-operative Bank’ as 450th co-operative bank on National Financial Switch (NFS). With this addition, the company has enabled as many co-operative banks on digital payment platform by making them interoperable with large banks. Contributing to the Digital India story, Sarvatra Technologies has played a very vital role in digitizing small co-operative banks across India. It has enabled lakhs of semi urban and rural customers to the digital banking world. Sarvatra aims to add another 50 plus co-operative banks by FY 2019. In continuation to their digital payment enabling story for India, Sarvatra has provided digital payment platform from the smallest cooperative banks to the largest lenders in India like ICICI Bank, IDBI Bank and new generation clients like Paytm Payments Bank, Equitas Small Finance Bank etc. Sarvatra backed by prominent investors like Mr Vallabh Bhanshali, Chairman, Enam Group, ICICI Bank, Indian Overseas Bank and Oracle Financial Services Software, has played a vital role in contribution towards Financial Inclusion in India. Speaking about the development, Mr. Mandar Agashe, Founder & Vice Chairman, Sarvatra Technologies said, “Sarvatra has done a pioneering role in bringing latest digital payment technologies to India’s ‘underbanked’ population. We defined financial inclusion as providing all payment facilities to a customer of a bank in remotest location of India which an urban customer of a modern bank will get in a metro city like Mumbai. In our journey, we had to handhold smaller cooperative banks in every aspect of digitization. “Co-operative bank customers are increasingly relying on digital payment services. From a relatively small amount transacted earlier, the transaction value on Sarvatra platform has grown ten-fold in the past five years. In 2018, the transaction value is set to touch Rs. 40, 000 crore and is expected to continue growing exponentially over next few year.” he further added. Co-operative banks earlier had poor network connectivity across branches and were disconnected with other large banking fraternity. Sarvatra Technologies provided SaaS based technology infrastructure for banks to centralize its system and to participate in the national payments network. Entire management of data centers and technological infrastructure has led to reduced operating cost for them. Company has on boarded banks across India covering 23 states and 03 union territories. Sarvatra works very closely with its sponsor banks - HDFC Bank, ICICI Bank, Axis Bank and Yes Bank. The company holds leadership position in providing technology for UPI transactions in India and manages more than 50 per cent of the total transaction that is generated on UPI nationally. Sarvatra is present in Maharashtra, Gujarat, Tamil Nadu, Karnataka, Andhra Pradesh, Telangana, Kerala, Uttar Pradesh, Bihar, Punjab etc. The company has also reached the north eastern states of India and union territories like Andaman & Nicobar Islands. In 8 years, Sarvatra went from offering digital solutions to two banks to 450+ banks and from a single payments platform to five different payment platform, viz. EFT (ATM, POS, E-Com), IMPS, Bharat Bill Payment System, UPI, AEPS. Sarvatra’s platforms in ICICI Bank and Equitas bank have won NPCI award for best performance in their respective categories this year. The company is supported by experienced board members that include Dr. R. B. Barman, Former Executive Director of RBI & Key Advisor to NPCI, Mr. Deepak Ghaisas, Ex CEO, iFLEX (now Oracle Financial Services Software).